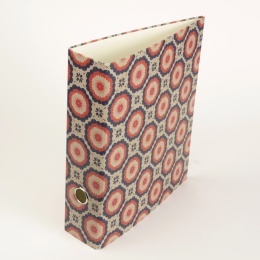 Our diaries are all handmade and come in several sizes and two different views (1 week per double page ore 1 day per page). An address section is included at the end of the book block. 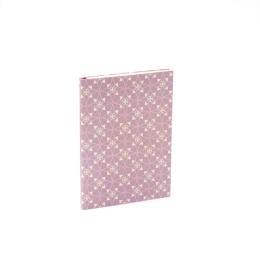 Each diary is thread stitched and made from premium cream writing paper. As a special feature, the 17x24 cm diary contains additionally a folding coloured map of the world. 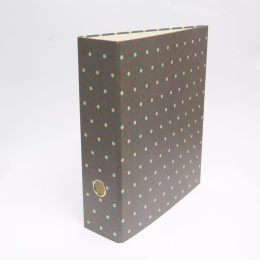 Diaries featuring hardcovers made from SUZETTE patterned papers and pure natural linen. 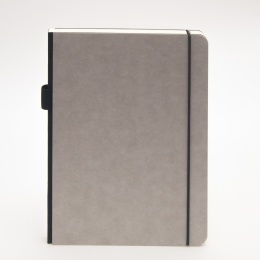 Minimalist basic notebook featuring a cover made from grey or brown cellulose board.